Save on shipping and convert your trial version into a full version in minutes! iZoom Standard Downloadable Edition is perfect for individuals who primarily use only one computer. 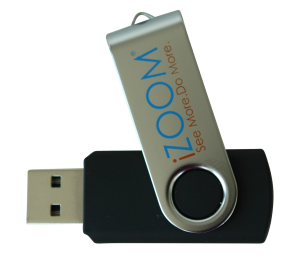 If you use more than 1 machine, we recommend iZoom USB. 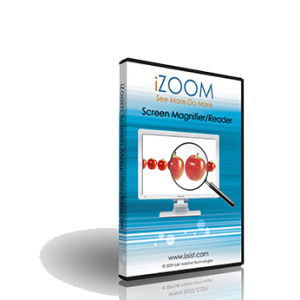 iZoom Screen Magnifier and Reader CD Edition incorporates our latest iZoom Magnification and Reading technology on a physical CD, shipped right to your door. Zoom into areas of the screen that are difficult to see, reduce glare, read out web pages, emails, new articles and more. 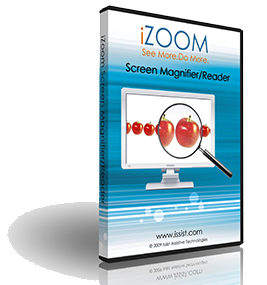 At half the price of conventional screen magnifiers, iZoom Standard CD offers cutting edge magnification technology at an unbeatable price.